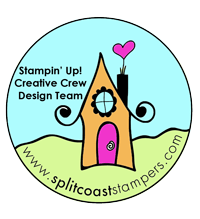 Welcome to another edition of the Stamp Review Crew, a group of Stampin’ Up demonstrators who blog on the first and third Monday of every month, highlighting a specific Stampin’ Up stamp set. If you’re hopping in order, you just came from Kelly’s blog. This week we’re featuring Mosaic Madness. 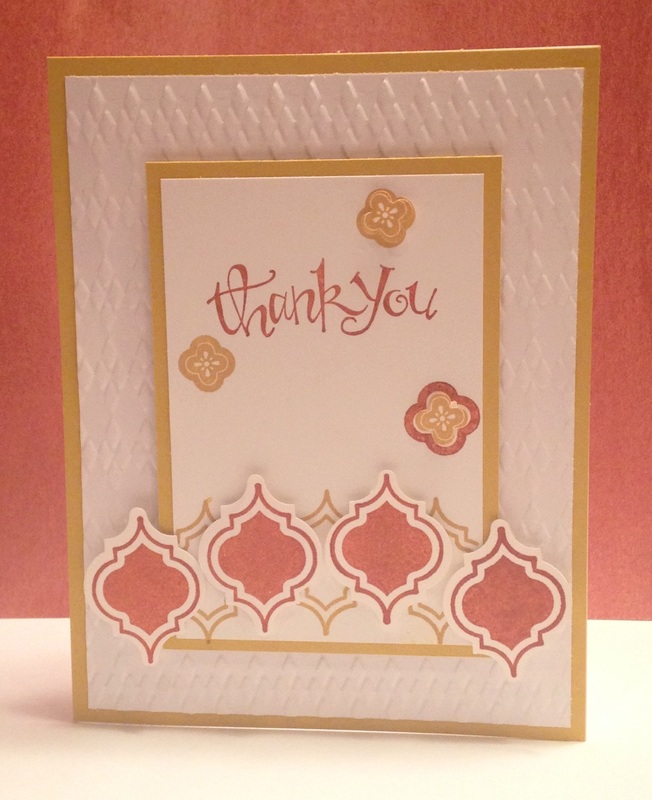 This set reminds me of a Moroccan motif. To come up with a color combo, I searched my favorite website – Pinterest – for “Moroccan color combinations.” I settled on this pretty picture. I think it’s from a clothing site, but the link was broken. Hello Honey and Cajun Craze – right? I decided I liked the color combination, but the card wasn’t really doing it for me, so I tried a redesign. I think I like this one better – what do you think? I even added sequins. 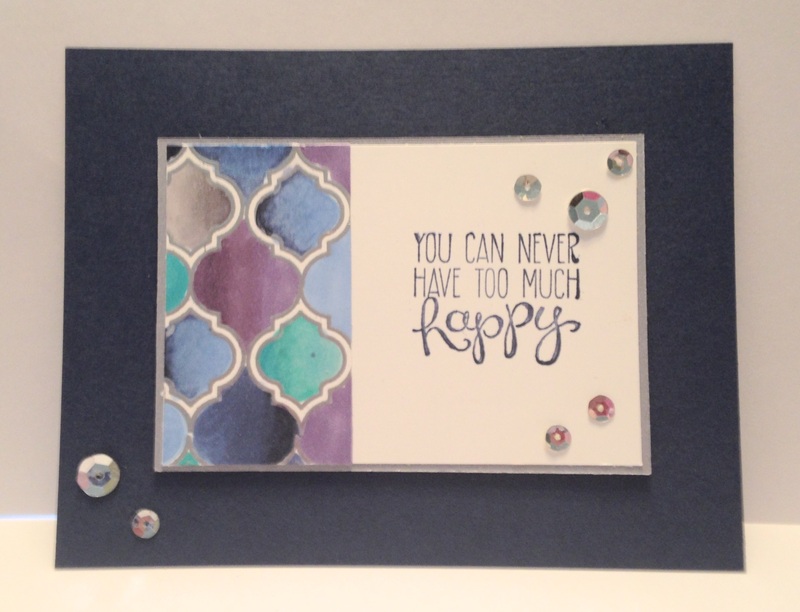 I really am trying to incorporate more bling in my cards and this one has not one, but SEVEN sequins. What do you think? Thanks for stopping by. Click the buttons below to move forward and back through our hop. This entry was posted in Uncategorized and tagged mosaic madness. Bookmark the permalink. Moroccan, I agree. I love the colors and the way you shaped the mosaics into a curve. Really nice! Great interpretation, Nancy! Your card is delightful! 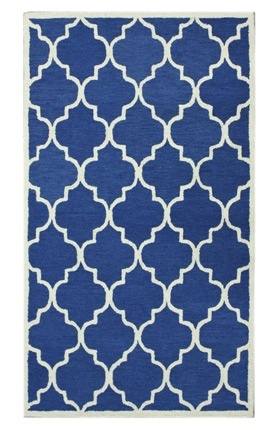 A beautiful color combination…perfect for a Moroccan vibe! I absolutely love the curve…very unique! I agree this is awesome how you used pinterest for the color combo. It’s a beautiful combination. I like the layout and what you did with layering the mosaics. The color combination is perfect! The white space adds to the palette perfectly! 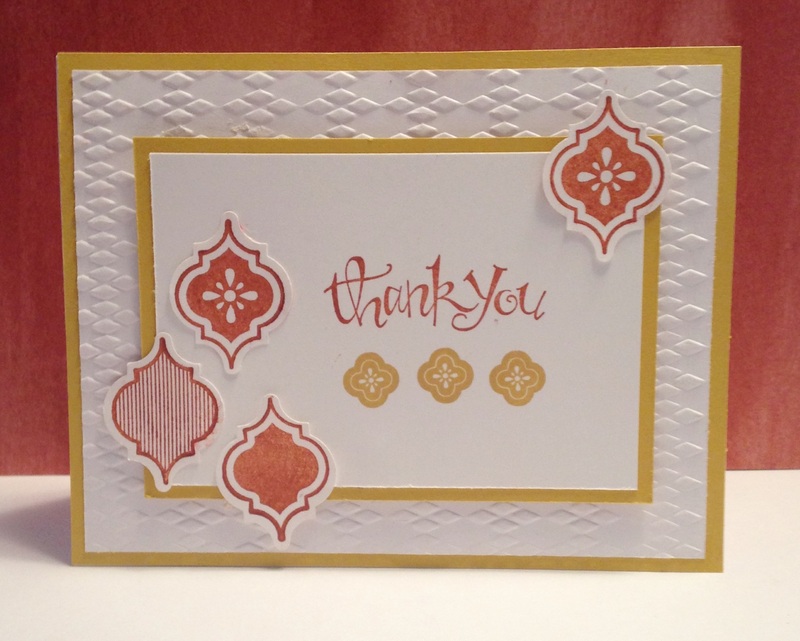 I love the arc of mosaics on the first card, the use of white space on the second, and the stunning coloring between and inside the stamps on the third, wow! What a fantastic group of cards!